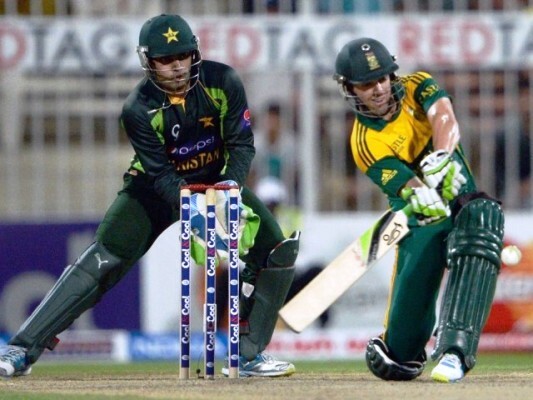 A few months ago, it was confirmed that AB de Villiers would be a part of the Pakistan Super League (PSL) and will play for the Lahore Qalandars. Although I wanted Islamabad United (my favourite team) to draft him, given that they picked their players last, it was obvious that Lahore would pick him instead, as they had the first pick. After all, we’re talking about de Villiers, and he has to be your first pick. That’s just how great he is. This is also probably a good time to reminisce how my love for him began in the first place. It was May 2012, and my ninth-grade board exams were going on at the time. In fact, I remember having an exam the very next day. Most students are nervous the night before an exam. Tension and uncertainty about the next day leaves many unable to indulge in any activity other than studying. And then there was me. On the night before the exam, instead of studying, I was glued in front of the television watching a cricket match. Had Pakistan been playing, this may still have been justified. But I was watching an Indian Premiere League (IPL) match between Royal Challengers Bangalore and Pune Warriors. I remember my mother freaking out and frantically telling me to go study, but at the time, I couldn’t care less. All I cared about was seeing de Villiers finish the match for his team. 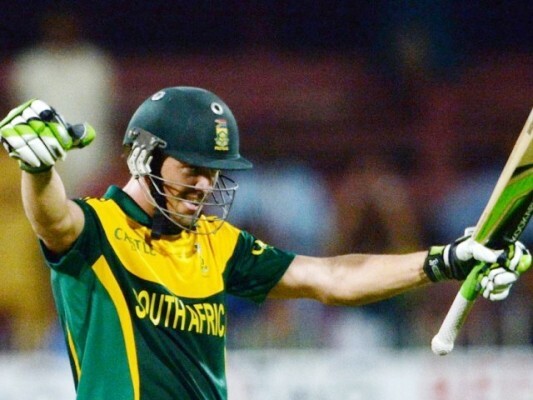 With 21 runs required off the last over, I knew de Villiers would win it, and he did. A single off the first ball brought him on strike. In his idiosyncratic style, he scooped the second ball through his fine leg for a four. The third ball he smashed for a six over long on, and the fourth ball was an absolute delight to watch. He deftly moved outside off on one leg and deposited the ball over his fine leg for a six. This unorthodoxy had become his forte by then. He secured the win for his team, and to my delight and my mother’s contentment, I passed the paper with good marks as well. This is how smitten I was with de Villiers. He has been my favourite since the time I naively thought ‘AB’ was a word rather than an abbreviation for Abraham Benjamin. This was way back in 2009 when I was a fledgling cricket lover, embarking on the journey of loving the game. In the 2009 T20 World Cup, I saw a South African player with a rather strange name. I didn’t know who he was, and I had no idea about his game or how good he was or whether one should be a fan of him, but there was something there that piqued my interest and made me cling to him. The tournament ended with Pakistan winning the trophy and in that moment of ecstasy, I found my favourite cricketer (from another team). From that time on, de Villiers became ‘the AB’ and embarked on his path of greatness. Year after year, he kept amassing runs. He broke records for his own amusement. It’s hard to think of any other player who brought so many innovations to the game, so much so that certain shots have been attributed to him; shots that so many young children (including me) tried to imitate. De Villiers lessened the emphasis on textbook shots, and this was the shift he brought into the game. His audacity to play daring shots gave a new dimension to run scoring. 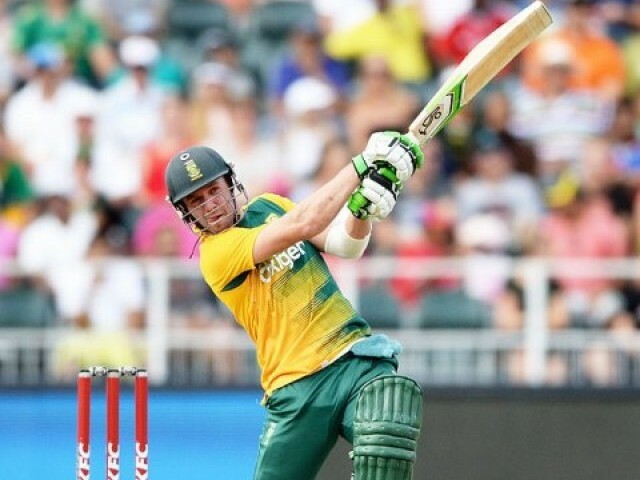 He opened the 360-degree field, which is why the younger generation looks up to the fearless de Villiers as well. There are times he appears completely infallible, looking completely at ease in the most difficult of pitches and most stressful of matches and somehow managing to take the game away, ball by ball. There exist so many facets to his game. One day he can nonchalantly pounce on the record for the fastest ODI century, and the other day he can bat out 220 balls for just 33 runs to save the game for his team. A man who has smashed 100 runs off 31 balls and 150 runs off 64 balls, but has also played innings of 43 runs off 228 and 43 runs off 297 balls to save Test matches. Belligerent, blessed with an immaculate temperament and an agile fielder who can catch everything thrown to him from any angle, you’ll be perplexed by how one athlete can be so complete and so fine in everything he does. This was the audacity of de Villiers. He brought to the field everything in the realm of possibility. 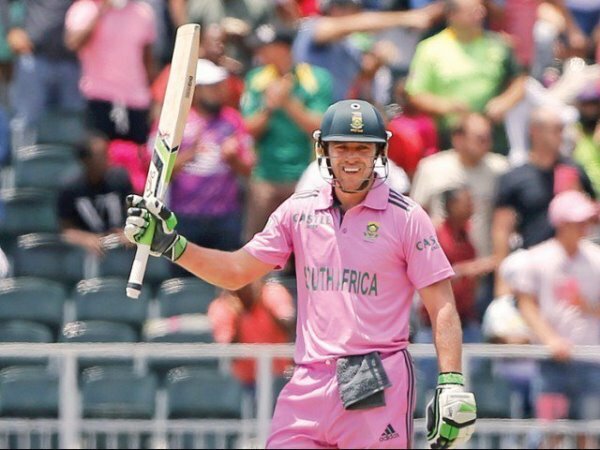 De Villiers gave a sense of respite very few batsmen are able to provide. Such a slick batsman was he that his batting would fascinate you even if he was playing against your own country. Whenever he was playing against Pakistan, I always wanted to see him score runs and if Pakistan lost to de Villiers, I never really felt sad. Only twice did I sigh with relief on de Villiers getting out. Once was during the semi-final of the 2009 T20 World Cup and the second was when he got out in the group match of the 2015 ODI World Cup against Pakistan. For me, every inning that de Villiers played, irrespective of which team he was up against, was a sight to cherish. Every shot he played, every exquisite drive he hit made me love him more and more. His batting was always a sight to behold. At times he got out, but when he didn’t, he made sure to deliver what was expected of him and every time he did, he made sure he put up an impressive display of batting. There are records to attest de Villiers’ greatness and numbers to justify his mastery. Legends of the game have rhapsodised about him. But for us fans, it was the expectation: the expectation of de Villiers mesmerising us every time he came out to bat. The sheer wait for de Villiers to come out in the middle and thwart the opposition was nerve-wracking. At times he did this with the utmost ruthlessness. Other times, he delicately took the game away from the other team. Now, he has retired. There won’t be any more of de Villiers in international cricket. He categorically denied any possibility of a comeback, taking everyone by surprise. No one saw this coming, especially as he was at the top of his game (having won the last series before his retirement entirely on his own). 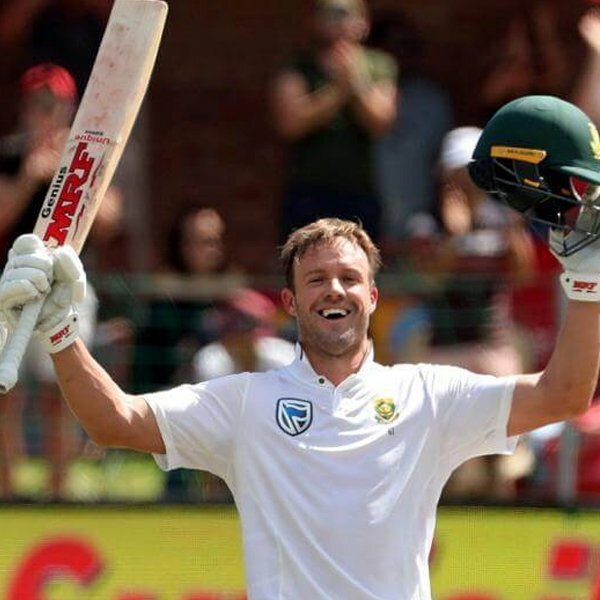 Everyone thought de Villiers would at least play the 2019 Cricket World Cup, a last attempt to defend the ‘Proteas’ (the South African National team). Instead, he surprised everyone, just like he does with his batting. For me, de Villiers will be a perpetual favourite. It is highly unlikely that he’ll travel to Pakistan for the matches that are held here, but the possibility of him being a part of Pakistan’s league is incredible. In the meantime, De Villiers is gone and I might cope with this loss eventually, especially if my greatest unfulfilled desire (a picture with de Villiers) manages to come true.